A few months ago I purchased a $10 for $20 worth of food group buying deal for Elephant and Castle. Elephant and Castle is a British style pub located on Burrard and Hastings downtown. The inside has high ceilings and is open, inviting, and bright. When we walked in we seated ourselves but unfortunately it took ten minutes before anyone even came by to take our drink order or give us menus. It was late in the afternoon and it wasn’t busy so I was unimpressed by the slow service. When we were finally able to order, I got the loaded beef dip ($11.50). 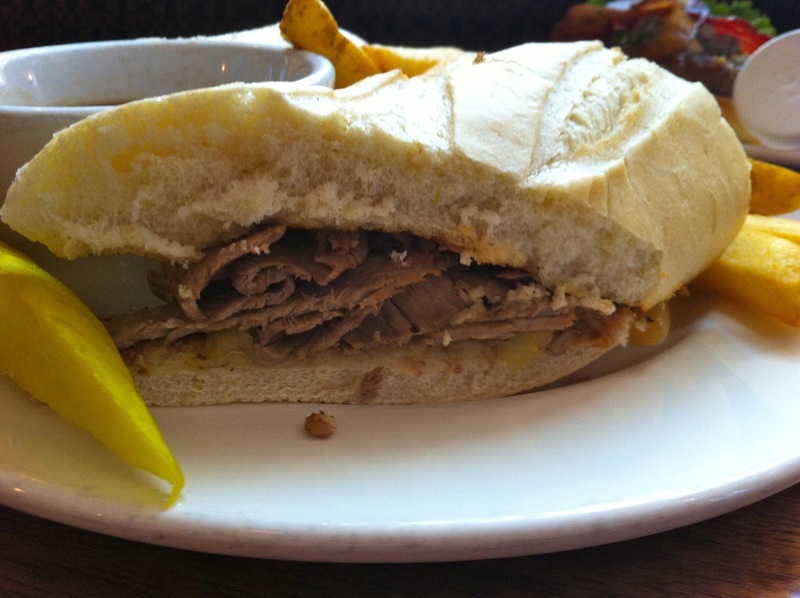 This sandwich comes with slices of roast beef, onions, and cheese (but I opted out of the cheese) and is served with your choice of side. I went with the fries and I liked how they were thick cut English pub style. The portion of fries was just right and they don’t give you any more than you need. The sandwich itself was quite large and it was on a crunchy baguette. The firm bread held up to the dip and it didn’t get too soggy. The meat inside was okay, but it could have been more juicy. 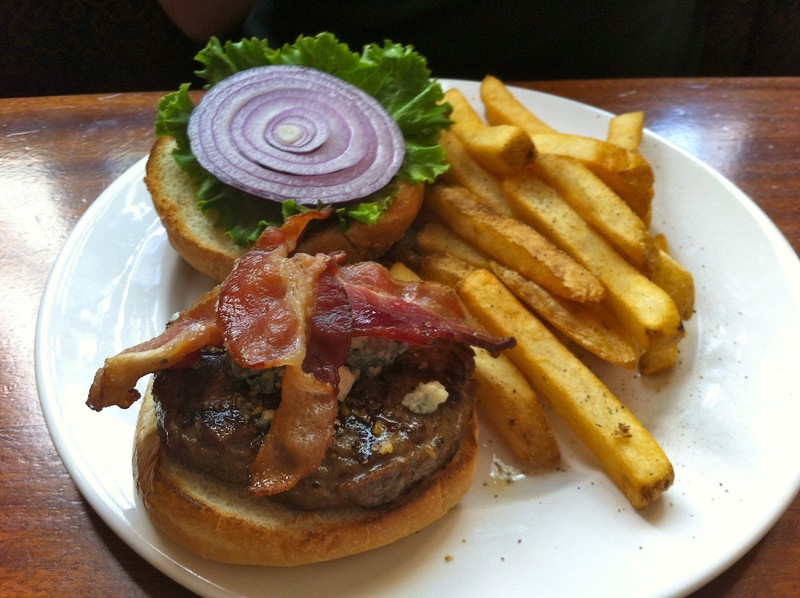 My dining partner had the blue cheese and bacon burger ($11.50) with fries as well. He was impressed that the burger came with bacon and blue cheese for $11.50, because many other restaurants charge more than that. The burger was a good size and he said for the price it was a tasty burger, but nothing outstanding. The food at Elephant and Castle is mediocre pub food. Neither of us were blown away, but at least it isn’t too expensive. The inside of the pub is quite nice and they have a good ambiance, I just wish the service wasn’t so slow. No, the food is mediocre.